I've been doing some research and still don't know what these are. I'm pretty sure they're Mycena sp. but I can't decide which. They look most like Mycena mucor, but these grow on oak leaves. Mycena stylobates (Bolbous Bonnets) looks similar, but the gills join the stem which these do not. 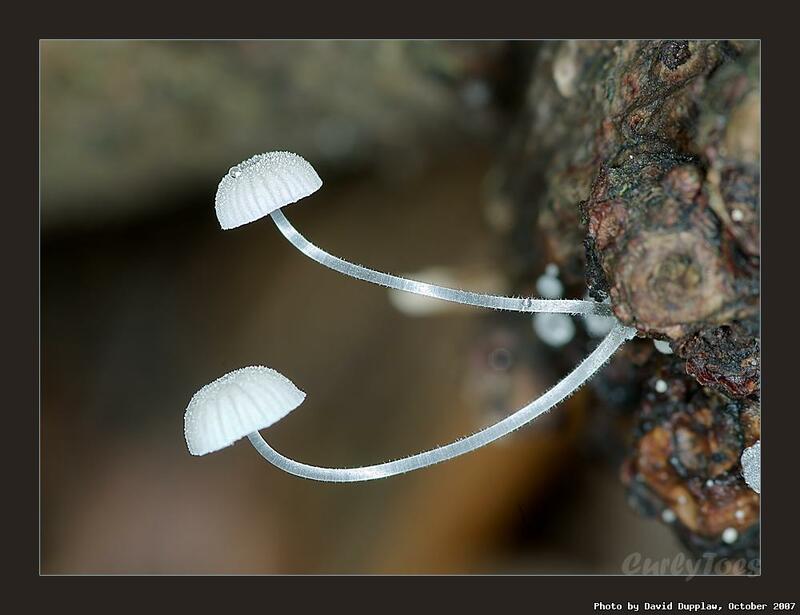 Joe on Flickr suggested Mycena clavularis. Any suggestions welcome. Found on wood in Kinson Common.